Barclays analyst Matthew Bouley maintained a Buy rating on Masco Corp (MAS – Research Report) on February 8 and set a price target of $39. The company’s shares closed on Friday at $35.90. 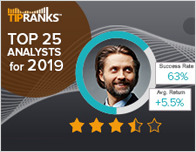 According to TipRanks.com, Bouley ‘s ranking currently consits of no stars on a 0-5 ranking scale, with an average return of -7.5% and a 42.1% success rate. 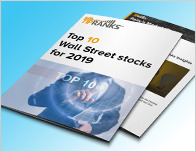 Bouley covers the Industrial Goods sector, focusing on stocks such as Continental Building Products, Advanced Drainage Systems, and Builders Firstsource. Masco Corp has an analyst consensus of Strong Buy, with a price target consensus of $38.11, implying a 6.2% upside from current levels. 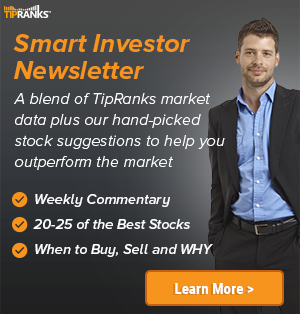 In a report issued on February 8, Robert W. Baird also maintained a Buy rating on the stock with a $41 price target. Based on Masco Corp’s latest earnings release for the quarter ending December 31, the company reported a quarterly revenue of $2.04 billion and net profit of $192 million. In comparison, last year the company earned revenue of $1.87 billion and had a net profit of $86 million. 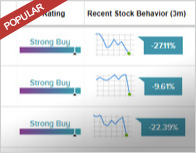 Based on the recent corporate insider activity of 47 insiders, corporate insider sentiment is negative on the stock. Most recently, in November 2018, Richard Manoogian, a Director at MAS sold 100,000 shares for a total of $3,098,000. Masco Corp. engages in the design, manufacture, marketing and distribution of branded home improvement and building products. It operates through the following business segments: Plumbing Products, Decorative Architectural Products, Cabinetry Products, and Windows & Other Specialty Products.